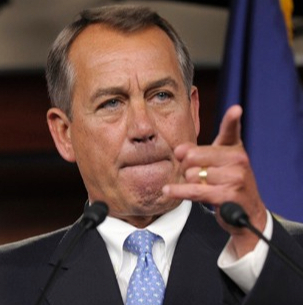 Source: Boehner’s GOP Problems Complicate Deficit Negotiations – ABC News. It looks like total gridlock may again happen coming out the gate of the new year. Mr. Boehner in some of his words seemed to say that he was open to compromise but soon took those words back after some in his party chastised him. The sign of a real leader is someone who leads, sometimes even in opposition to some in his party. He does not bend, especially to the least common denominator of his party. Here is an interesting post from my friends over at “Time Goes By” about some of the politicking that has gone on around Hurricane Sandy. 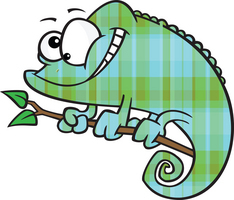 All Rich Guys Think They are Infallible…. 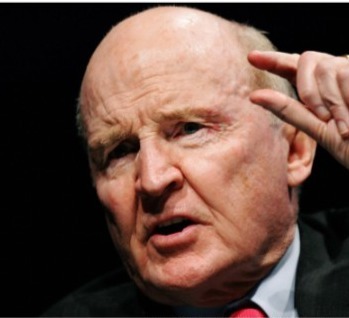 via Jack Welch: I was right about jobs report – Oct. 9, 2012. Welch, the former CEO of General Electric, had previously contributed content to Fortune, but following critical coverage of his comments on the jobs report and tenure at GE, Welch said in an e-mail Tuesday that he was terminating his contract with Fortune. I don’t think that even Will would have dreamed that we would one day have something called “Citizens United”. That is the Supreme Court decision that opened the money spigot in today’s politics. There are now dozens of groups both Republican and Democrat, but mostly Republican, that go by various innocuous names that put out much of the mud in today’s politics. Source: Romney on ’47 percent’: I was ‘completely wrong’ – politics – Decision 2012 | NBC News.